Simple Add to Calendar service for websites and newsletters. Creates Add to Calendar buttons that work across Google Calendar, iCal and Outlook. Creatively engage your event audience or participants with this game-based learning platform that makes it fun to learn – create your own quiz. Slido Free basic package. Charity discount. Audience interaction made easy. Live Q&A, polls and slides for your meetings and events. 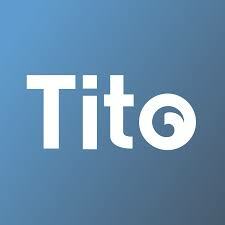 Tito No fee for charity or free events. A clean, mobile-friendly event homepage and checkout experience. Sell tickets, manage orders, waiting lists, discount codes and more.